Freehookups is a free dating site for adults. But if you’ve found love in meanwhile, or maybe you’re just not using it anymore, you might consider to close your account. In that case: Don’t look further, because I’m about to explain how you can do that by hiding your profile. you first need to know that a Freehookups account can never be removed permanently. You can read that in your Help page (> we show a screenshot of it below),so it’s impossible to remove it completely. 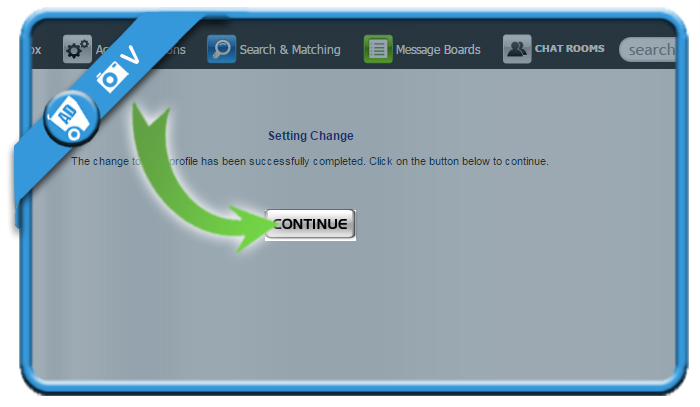 The only alternative solution is to hide you profile, so that’s what we’re going to do in this manual. 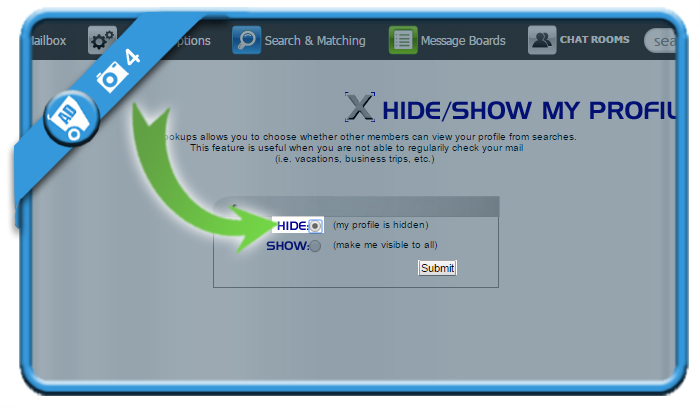 all you need to do is, after you logged in, navigate to Account options > Hide my profile. 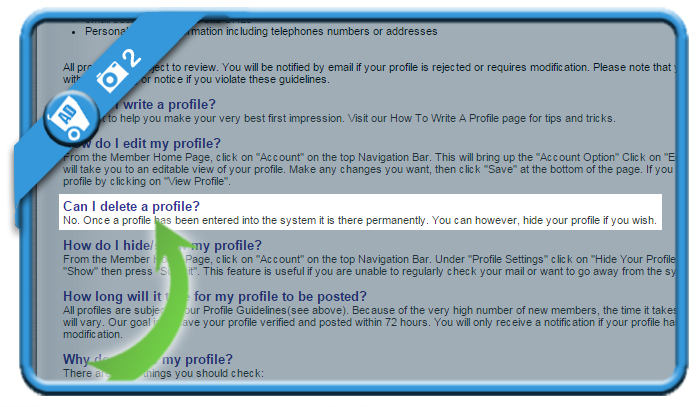 The settings has changed and from now on, your profile is invisble. The result is not the same as a permanent removal, but as they don’t offer such a feature, this is the closest that we can bring you to a complete deletion.